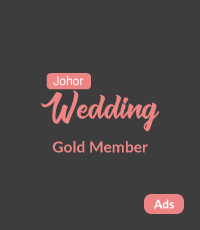 Thanks for purchasing our products at JohorWedding.com operated by J Cinematography. In order to be eligible for a refund, you have to send your refund request with your Order ID to [email protected] and return the product within 7 calendar days of your purchase. The product must be in the same condition that you receive it and undamaged in any way. Refund is only eligible for defective products, other reasons are not accepted. However, our support team will check every products before we ship out.